Whatever the overall quality of this film, Shelby has got to be one of the favourites to scoop a canine Oscar at the next annual Fido awards ceremony (for incredible dogs on screen). 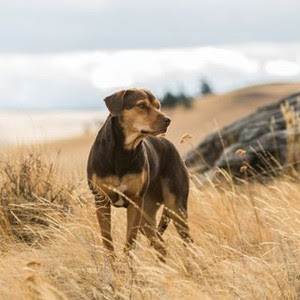 The lovable mutt acts all the humans off the screen in this movie about a dog, Bella, who attempts to make a dangerous 400-mile journey from New Mexico to Denver, Colorado to be reunited with her owner. This movie will inevitably ignite memories of The Incredible Journey (1963) and its 1993 remake, Homeward Bound. You won’t find anything new here, and there’s no denying that this is a formulaic picture, with all the usual boxes being dutifully ticked. Nevertheless, Shelby, a cross pitbull (who doesn’t really look like a pitbull and certainly doesn’t behave like one), gives a truly stunning performance as the star of the show that is well worth the cost of your entrance ticket. The film, directed by Charles Martin Smith and adapted from the book by W. Bruce Cameron, is about an abandoned puppy that is adopted by a hospital worker, Lucas (Jonah Hauer-King) and his family, with Ashley Judd playing his depressed war veteran mom. There’s a sub-plot about a dastardly real estate developer who is in cahoots with a dog catcher at the local pound. This situation eventually endangers (the now fully grown) Bella’s life and she is temporarily shifted to another family in New Mexico. But such is the strength of her bond with Lucas that she quickly escapes and attempts to find her way home. The movie makes the risky decision to push the anthropomorphic button for all its worth by having a running first person narration by the dog, voiced by Bryce Dallas Howard. Bella's journey involves a number of meetings with colourful characters, both animal and human, including an orphan mountain lion cub, a gay couple, a homeless war veteran and a rather scary pack of wolves. Whenever the cliché count gets on your nerves, it's always Shelby who revives your interest and sympathy. Looking into her deep, imploring eyes will melt even the hardest of hearts and you may have to search for a tissue or two at the end.